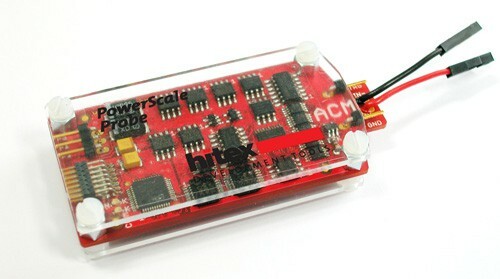 Product information "ACM Probe for PowerScale"
Probe to be connected to the PowerScale base unit. Connection to the target via two single wires to access the measure points of interest, and one additional for ground connection. Current measurement range from 200nA up to 500mA with minimal intrusion (100mV drop max over total range) at max. 12V voltage. Easy extendable with a Power-over-USBÊ or Power Over-Ethernet adapter. Related links to "ACM Probe for PowerScale"
Customer evaluation for "ACM Probe for PowerScale"